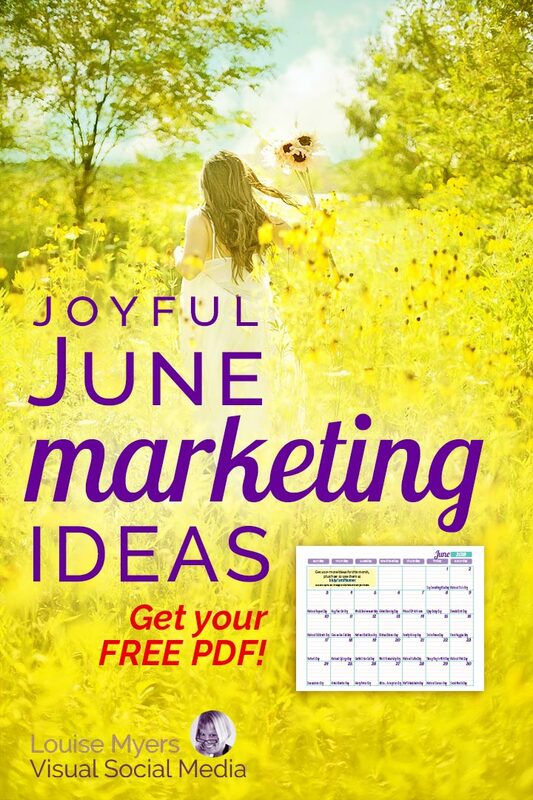 33 Joyful June Marketing Ideas: FREE Download! You are here: Home / Content Marketing / 33 Joyful June Marketing Ideas: FREE Download! It’s summertime, and the livin’ is easy! While summer truly starts on June 21, Memorial Day (May 27) is considered summer’s kickoff. Kids are getting ready for school to end, and adults are planning road trips and other travel. If your audience is in the Northern Hemisphere, use these themes in your marketing efforts. There are gift opportunities for dads, grads and teachers. Do you sell giftables appropriate for one or more of these groups? Be sure to offer them! It’s another big month for the red, white, and blue, as well as camping, barbecues, and outdoor living. Do any of these month-long holidays resonate with your business and audience? June 9–15 is National Flag Week in the U.S. The biggest holiday in June is Father’s Day on June 16. Show dads some love! Don’t forget that summer begins on June 21 (summer solstice). Download your FREE printable calendar PDF in the members area! (Link below). Which June Holidays for Your Business? Plus, I’ve included ideas on how to use them! And a strategy to ensure that your business promotion gets scheduled first. Then fill in with fun holidays to keep your audience engaged! 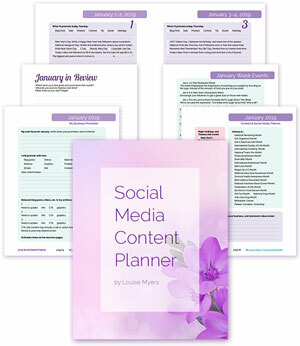 Purchase this instant download PDF on a convenient monthly subscription plan. Download next month’s calendar today! Your next issue will be available on the first of the month. (Drop me a line if you need other options). 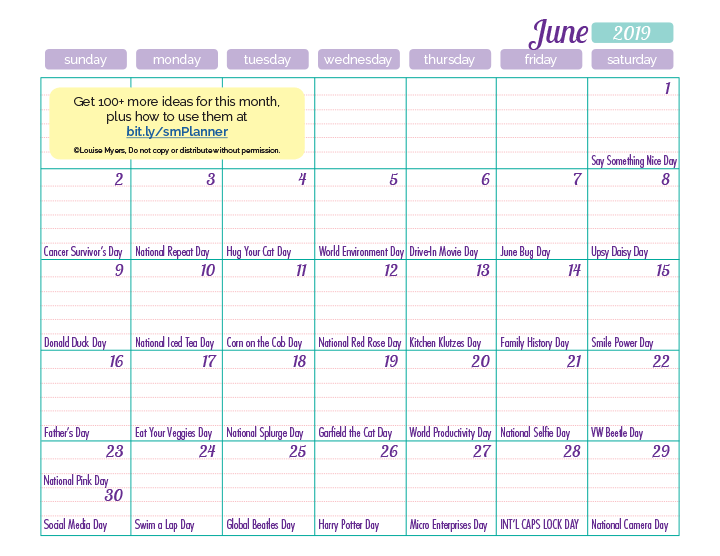 Or just grab the FREE June one-sheet content inspiration calendar. One prompt per day, plus room to write in your own ideas on how you’ll use it. What do you think? 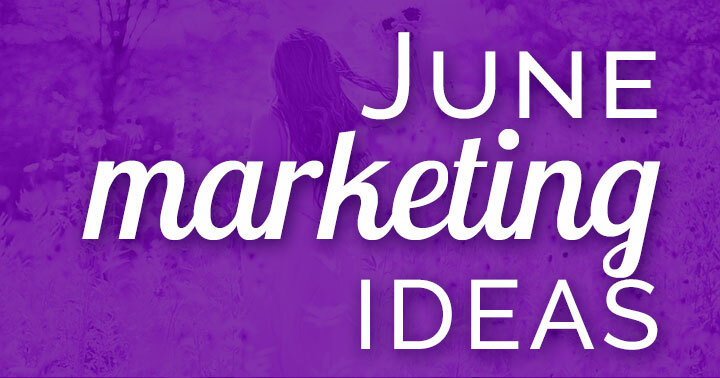 Which June marketing ideas will you use for your business? Oops! Typo. 60th. Thanks for the heads up.